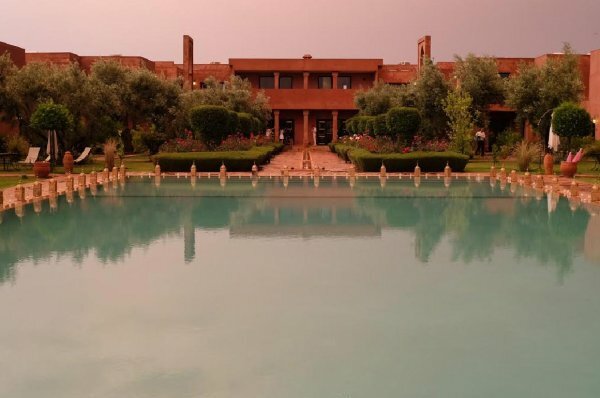 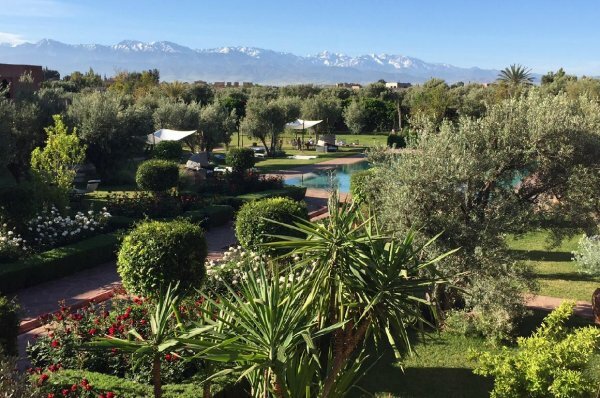 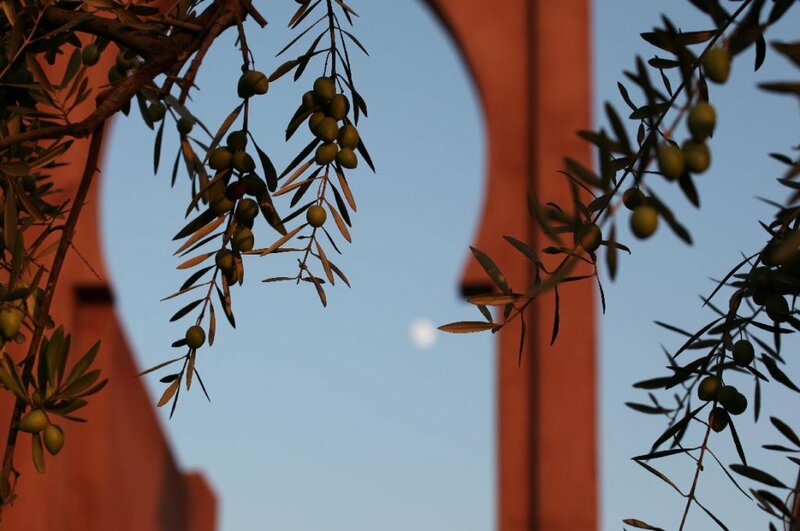 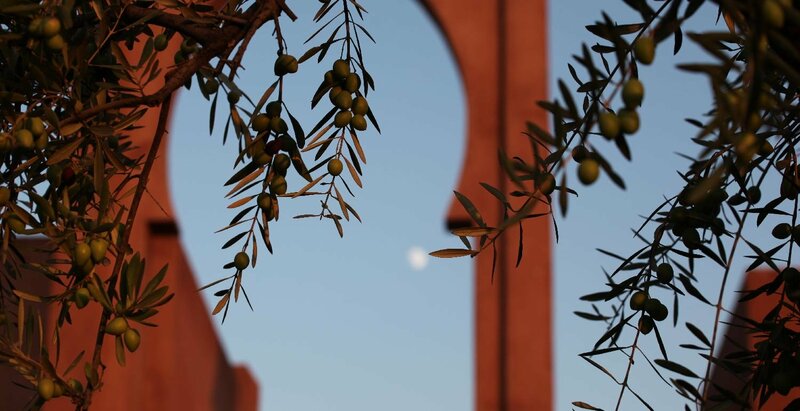 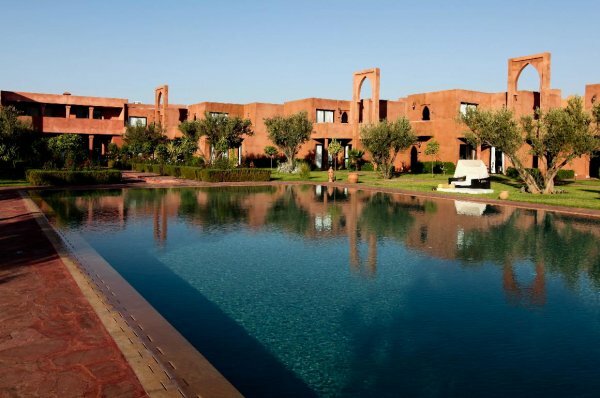 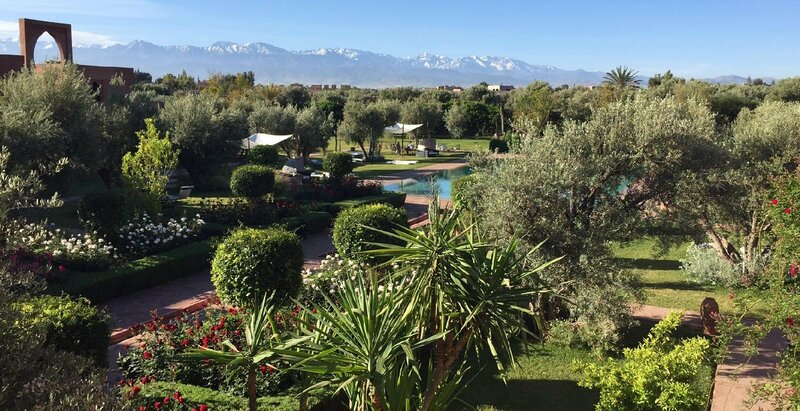 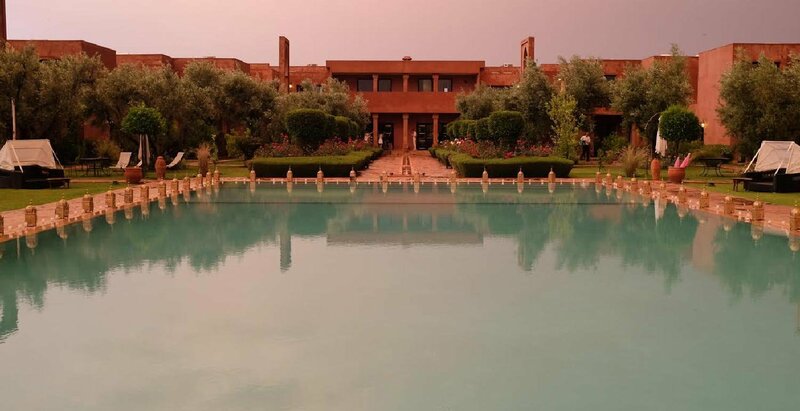 A place plentiful of dreams and exoticism, Marrakech is distinguished with its unique climate, its millinery history and hospitality tradition. 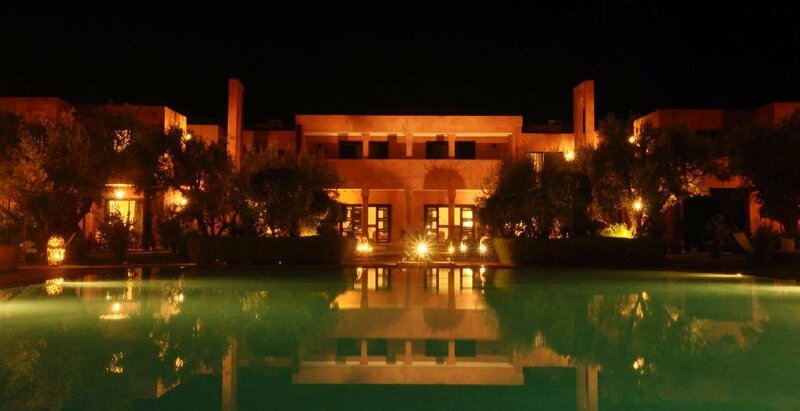 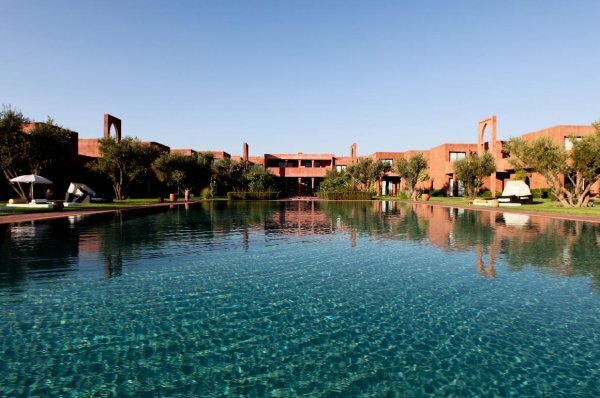 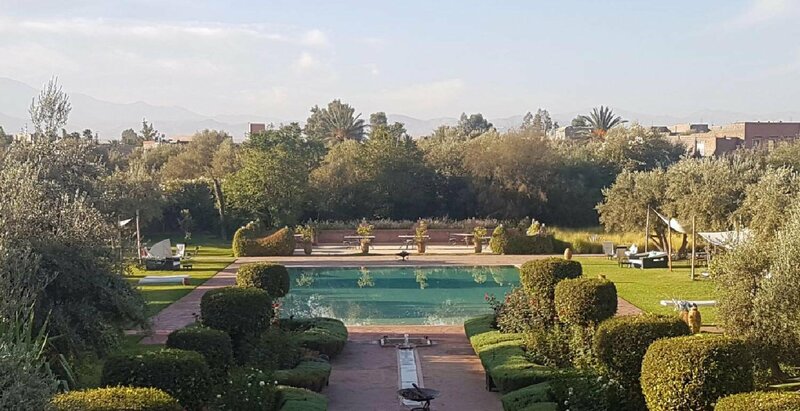 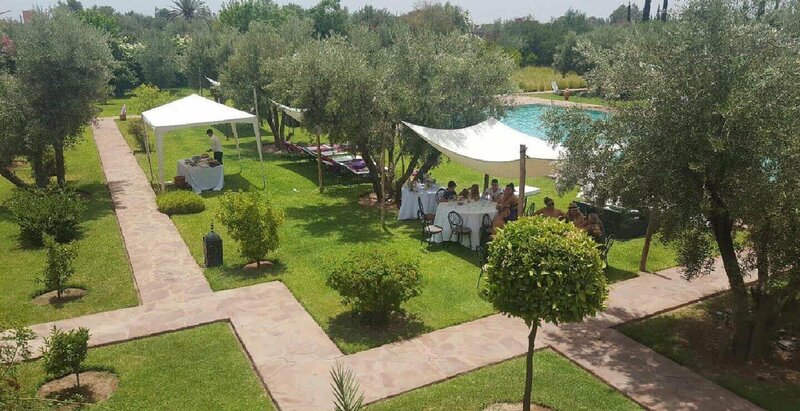 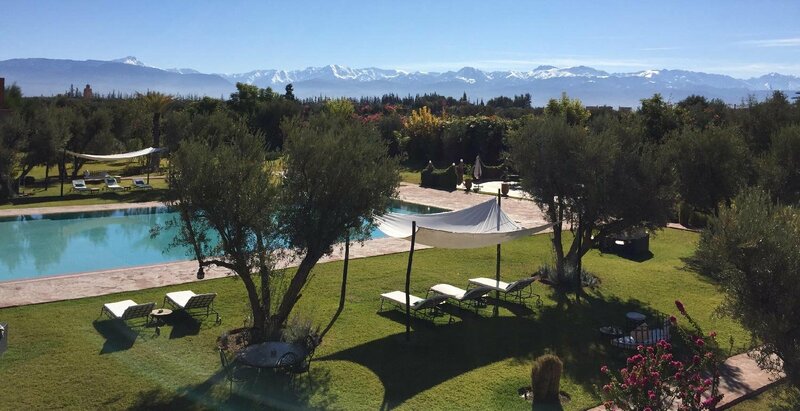 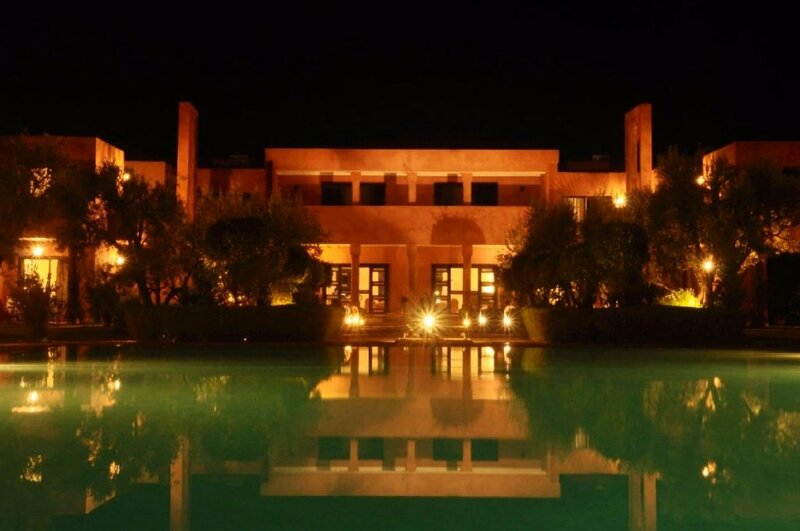 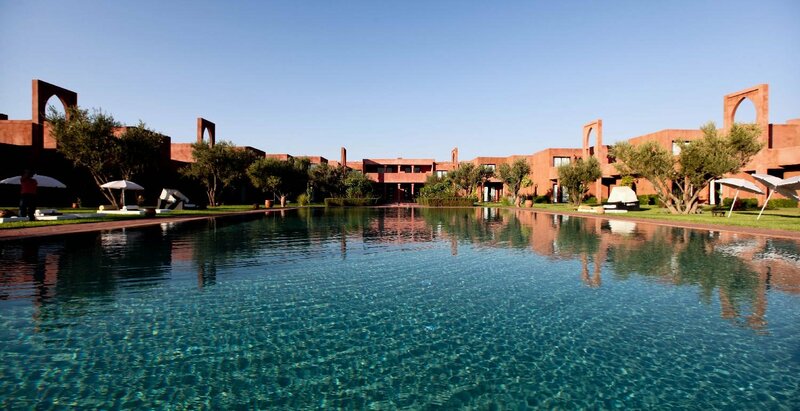 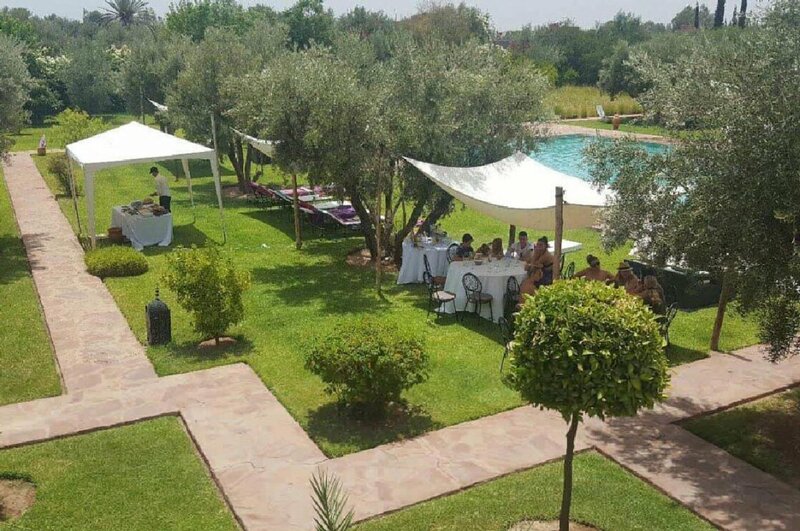 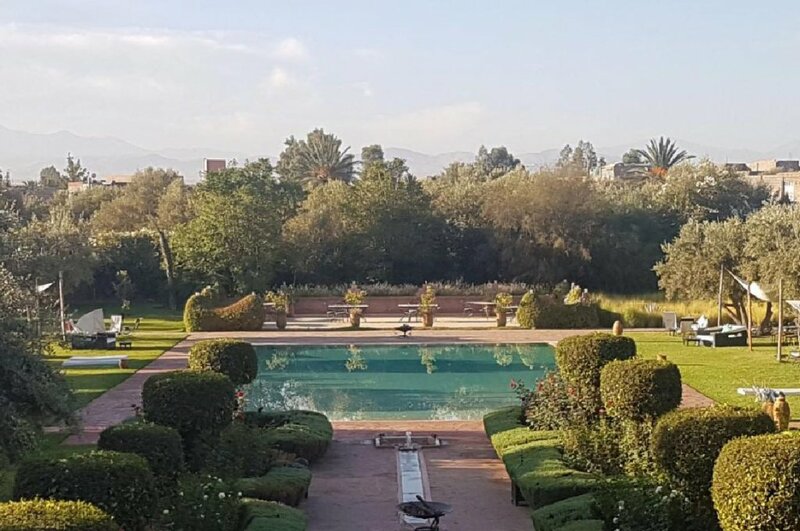 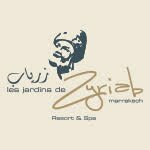 Once you have passed through the gates of Les Jardins de Zyriab, you will be overwhelmed by a warm and convivial atmosphere in a place where beauty prevails. 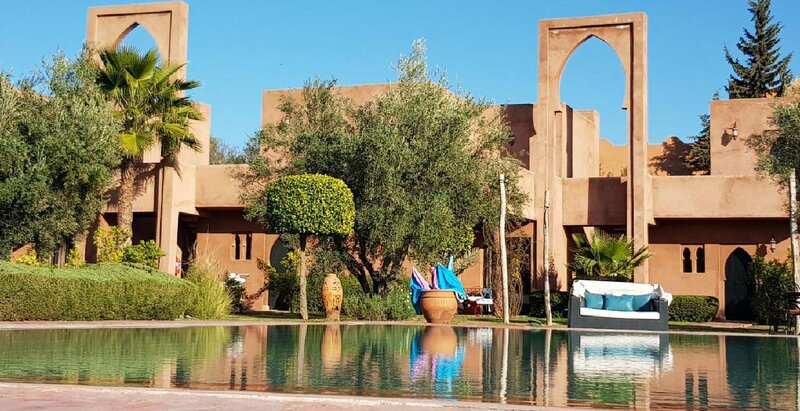 Its architecture at the same time traditional and contemporary and its perspectives ingeniously conceived, offer it a particular dimension where each one of us feels at home. 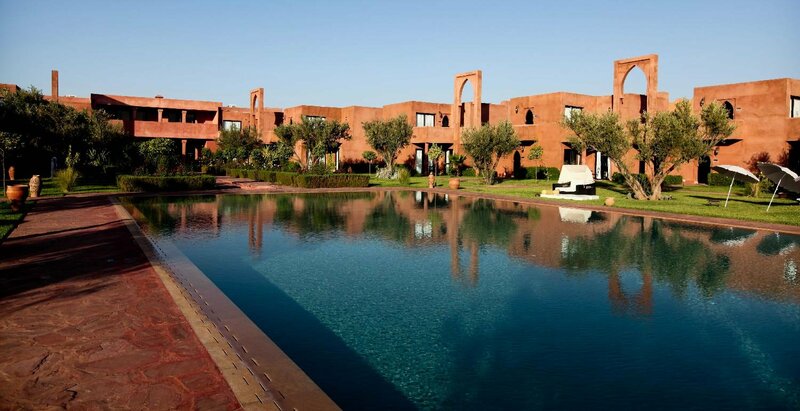 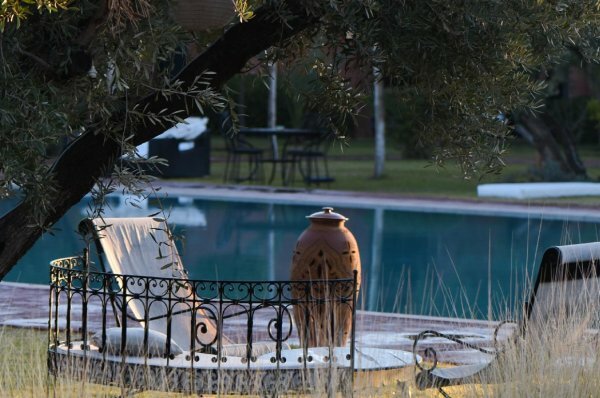 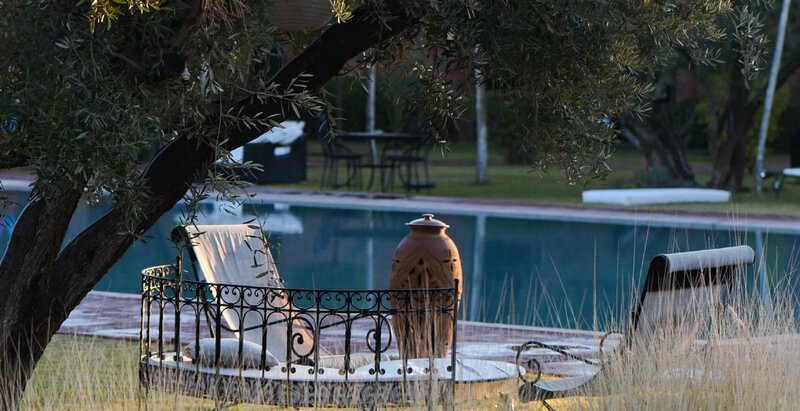 Submerging in the heart of 7000 m², planted with olive trees, orange trees, pomegranate trees, bougainvillea, palm trees... and designed in the most authentic Moorish style with its creek pouring in a 25 m long pool, 20 exceptional and independent suites that have each a breathtaking view over the Atlas Mountains and assure a total intimacy to its guests. 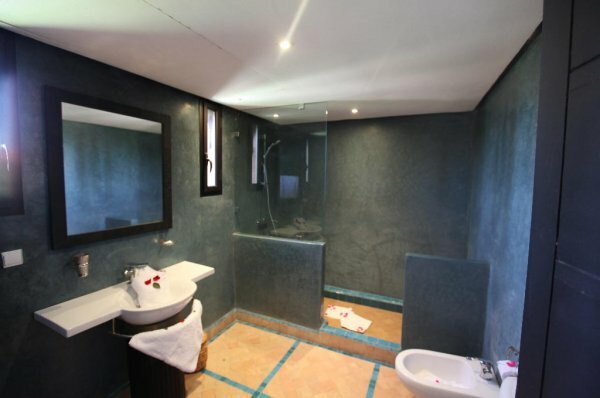 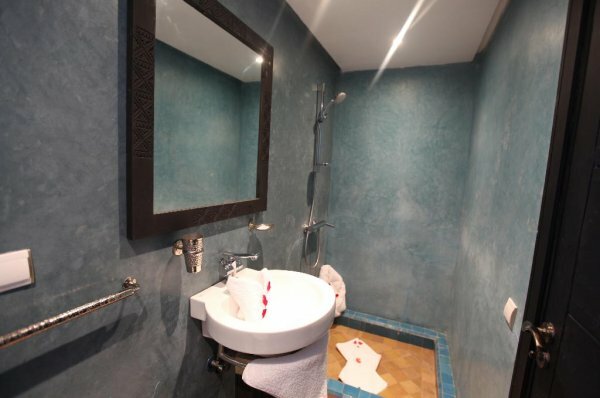 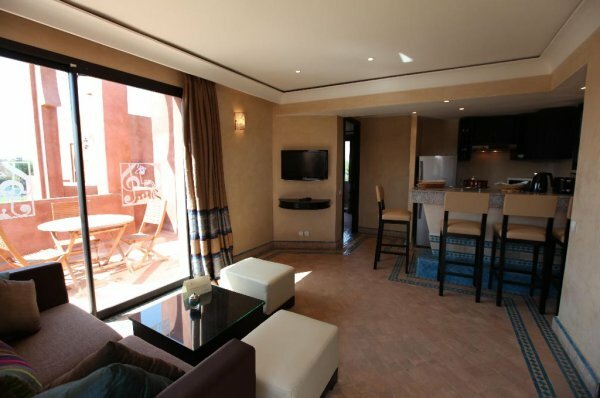 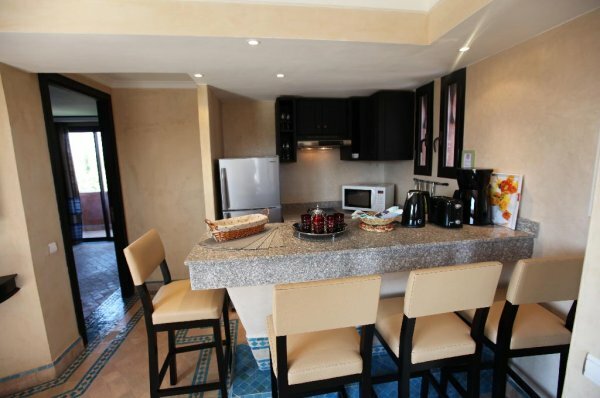 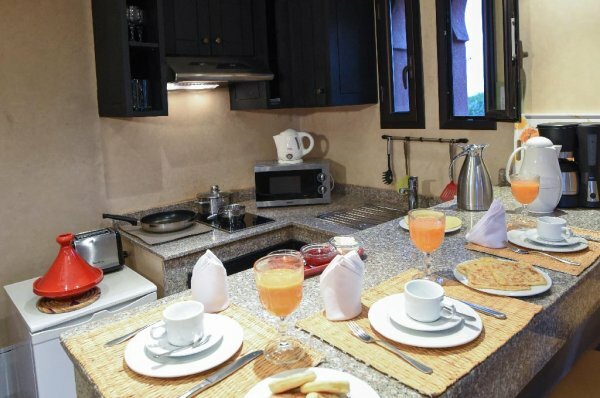 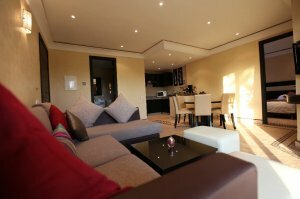 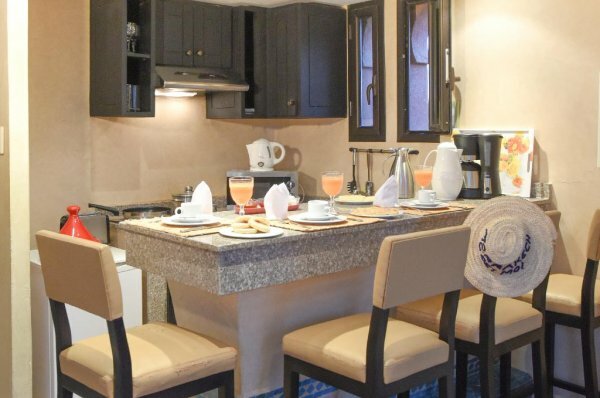 This suite features a double bedroom, a fully equipped kitchen, a private terrace and 2 bathrooms with a shower. 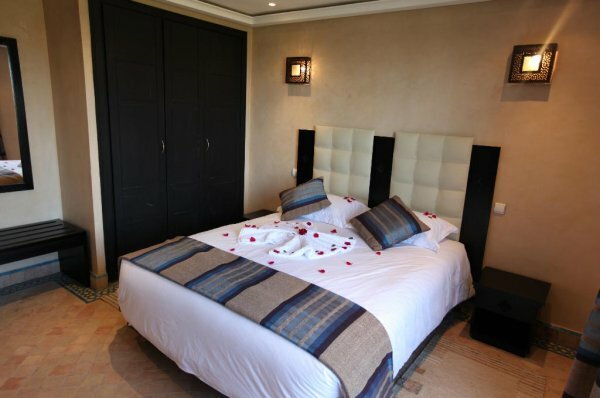 For your comfort we inform you that the sofa bed can accommodate one adult or two children under 13 years. 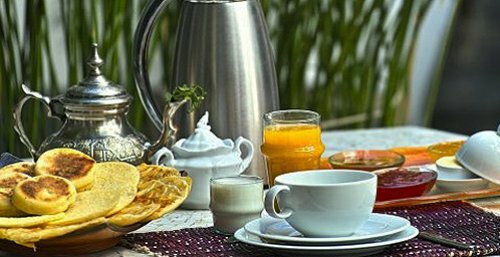 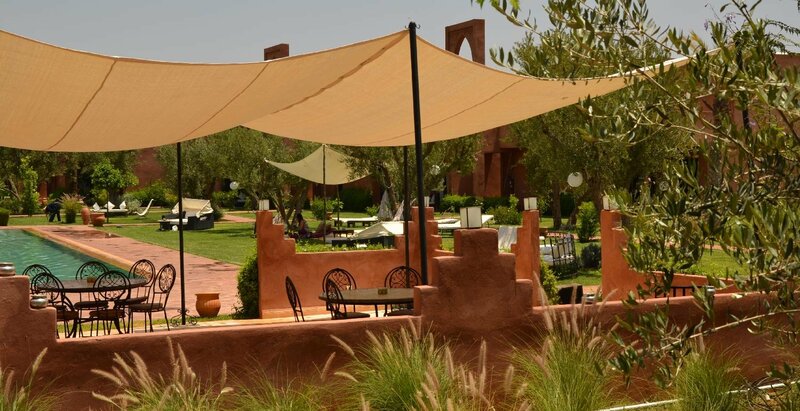 The choice between generous Moroccan cuisine or Mediterranean flavors as well as child-friendly dishes. 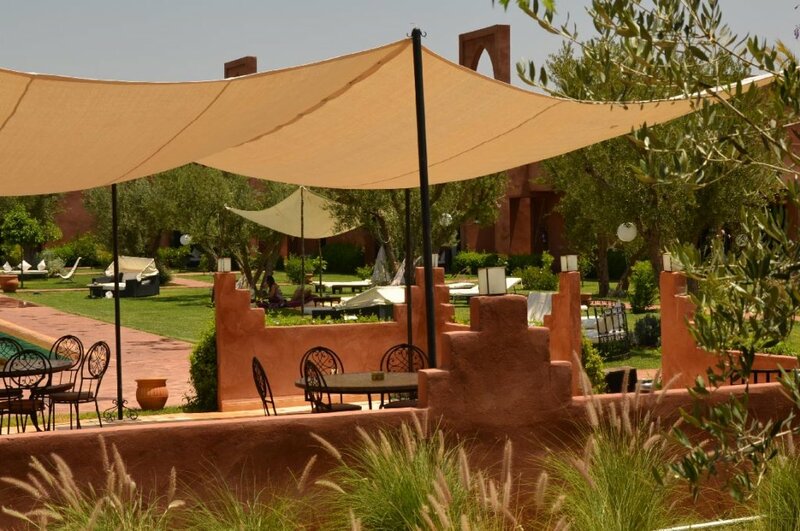 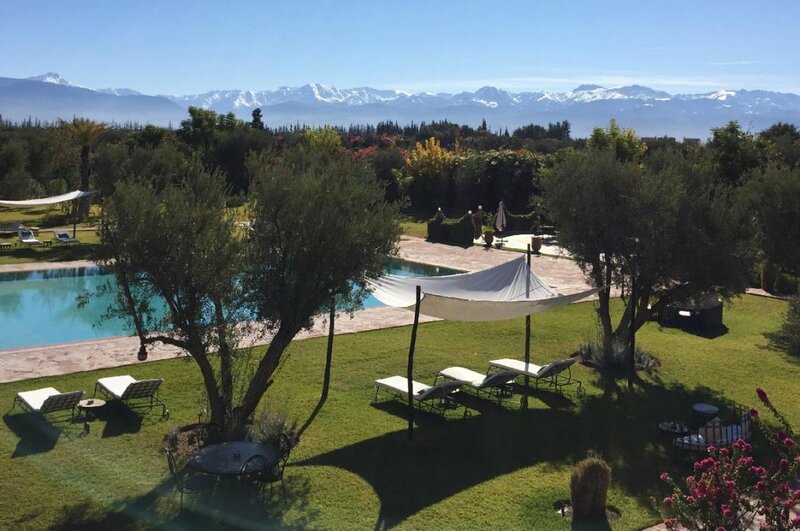 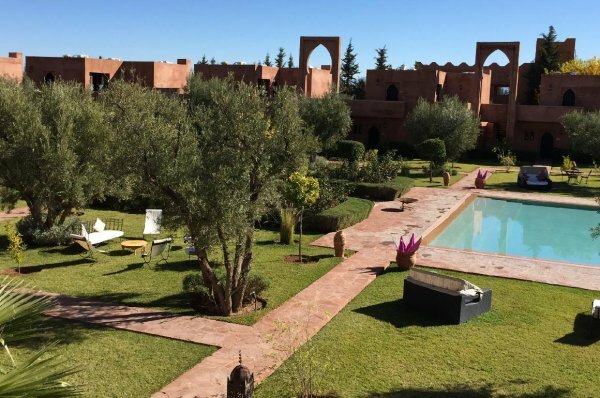 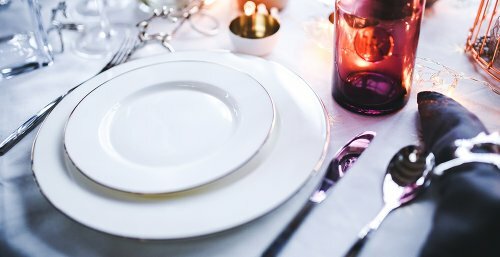 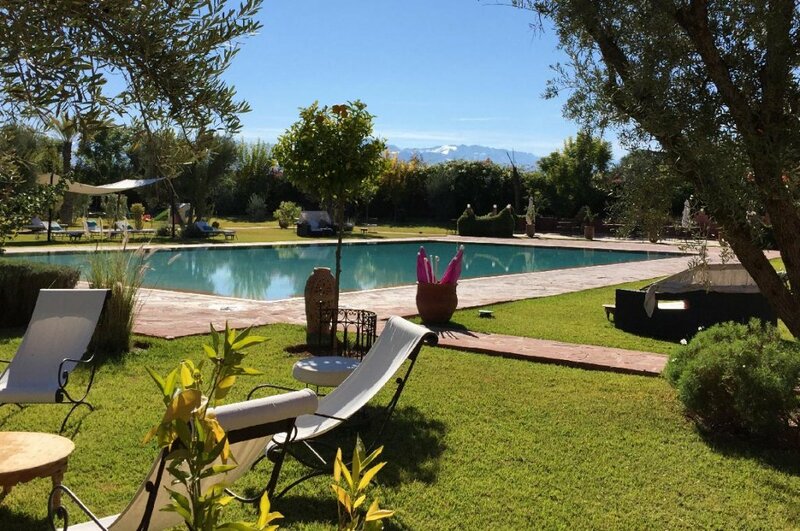 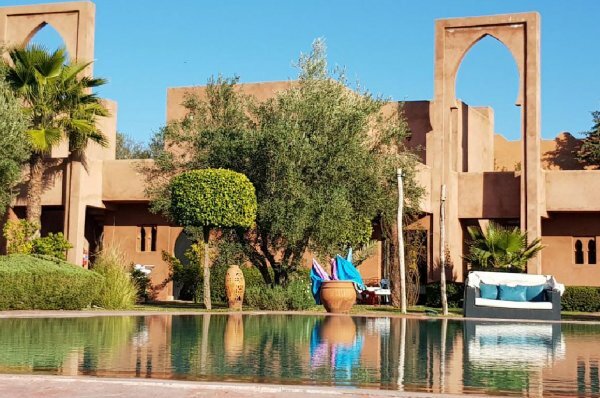 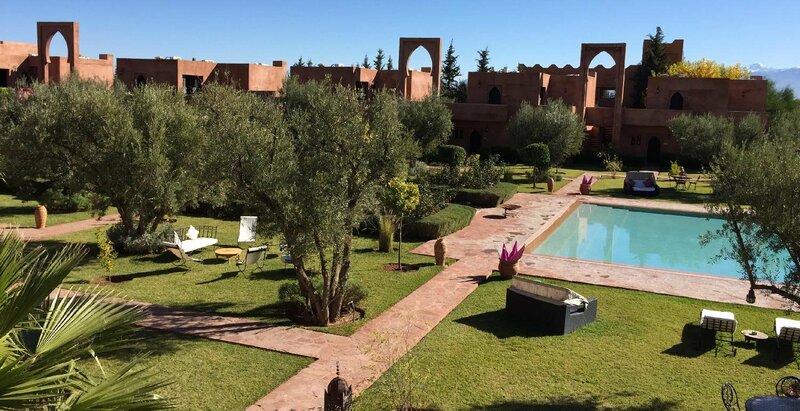 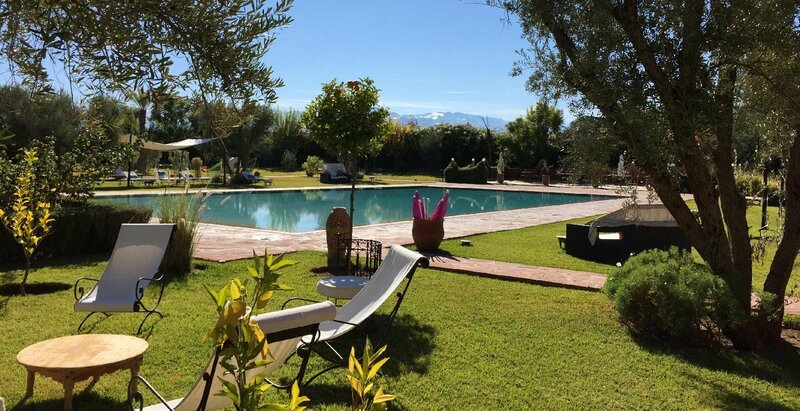 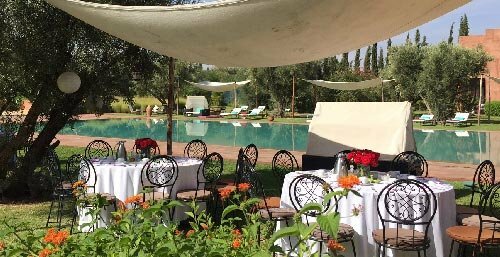 Flexible restaurant serving authentic Moroccan dishes made entirely homemade but also a variety of Mediterranean dishes adapted to the wishes of the youngest.